Enjoy the top 236 famous quotes, sayings and quotations by Andy Rooney. We all ought to understand we're on our own. Believing in Santa Claus doesn't do kids any harm for a few years but it isn't smart for them to continue waiting all their lives for him to come down the chimney with something wonderful. Santa Claus and God are cousins. I don't think the government is out to get me or help someone else get me but it wouldn't surprise me if they were out to sell me something or help someone else sell me something. I mean, why else would the Census Bureau want to know my telephone number? My advice is not to wait to be struck by an idea. If you're a writer, you sit down and damn well decide to have an idea. Half the cookbooks tell you how to cook the food and the other half tell you how to avoid eating it. Numbers are the most certain things we have. A cat's idea of a 'good time' is to kill something. It is possible to be dumb and be a college president. Most of us aren't that interested in getting rich- we just don't want to get poor. Want to see more pictures of Andy Rooney quotes? 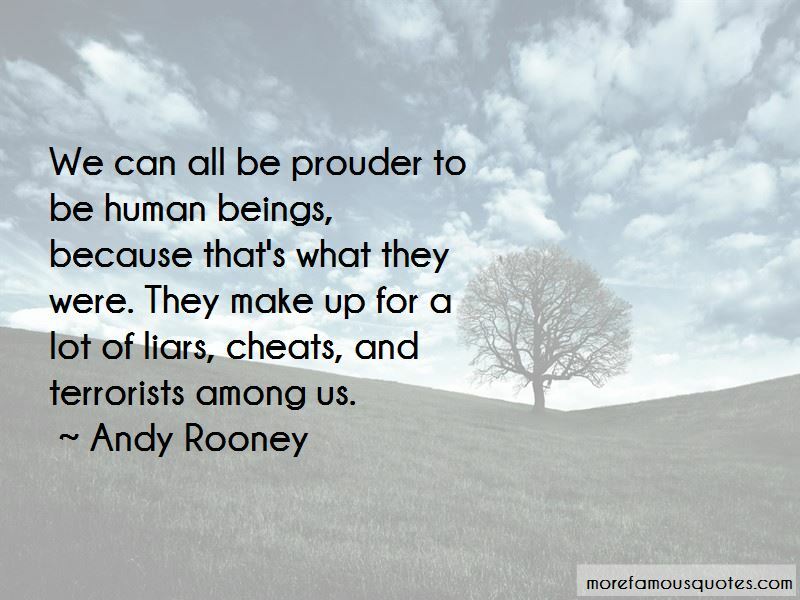 Click on image of Andy Rooney quotes to view full size.